F1 photographer Mark Sutton takes a look back at some of his favourite and most interesting photos from the launch and testing season so far. The first two tests are always the most exciting, with plenty of launches and action around the paddock. 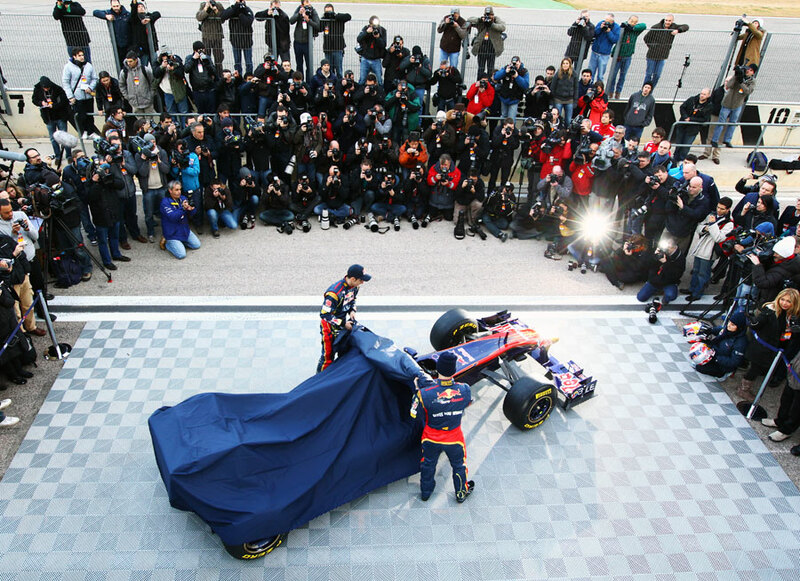 The cars unveiled on the morning of the first day attract the largest media scrum, but the photos are often very similar. We had three photographers in Valencia so I shot from the pit roof to get a different angle. 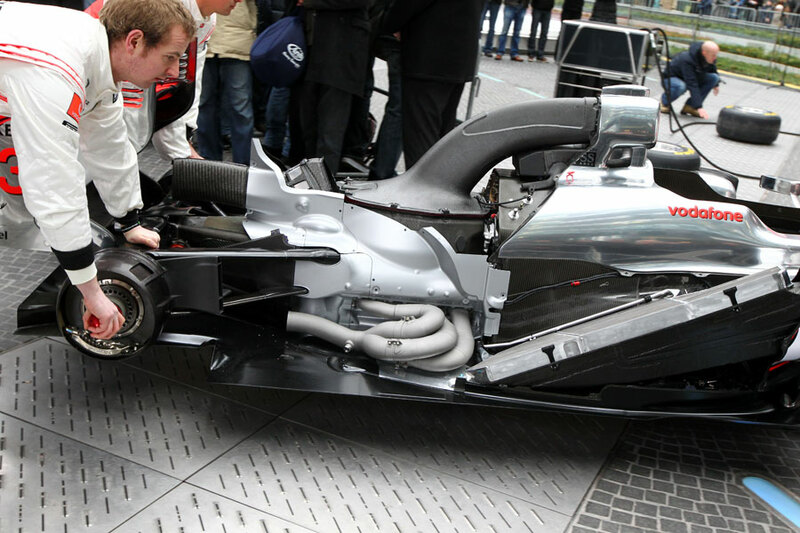 The McLaren launch in Berlin was pretty impressive as the team brought a naked chassis into view and then members of the public introduced its body panels one by one. It would be very unlike McLaren to put its finished article on display without an engine cover, so the car that we were shooting could have been a show car for all we know. But it made for a neat video-content viral for the team, which was actually a very nice touch. The Virgin launch was also aimed at getting a neatly packaged video, but they did it under studio lights in the BBC and it all felt a little bit rehearsed. For example, if they got a line wrong they would stop and shoot it all again. 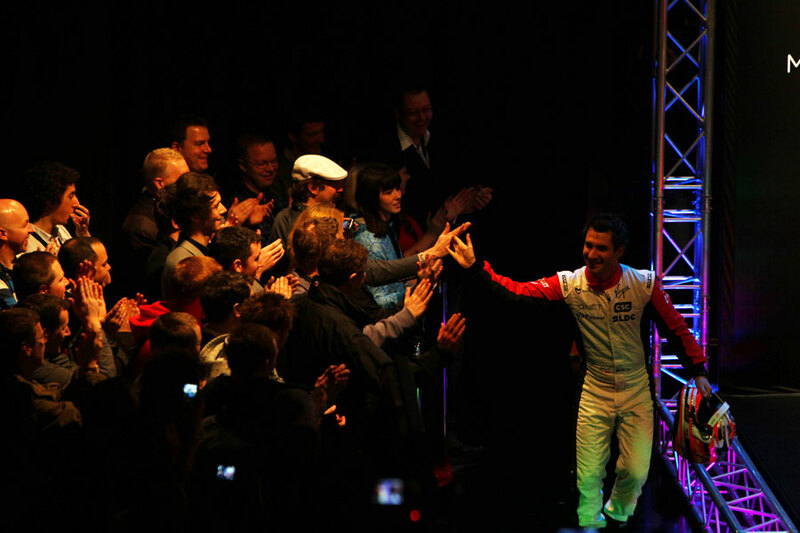 When Timo Glock did his high fives the guests weren’t under any lighting and didn’t show up on the cameras. The director made him stop while they rigged up some more lights and then told Timo to do it all over again. 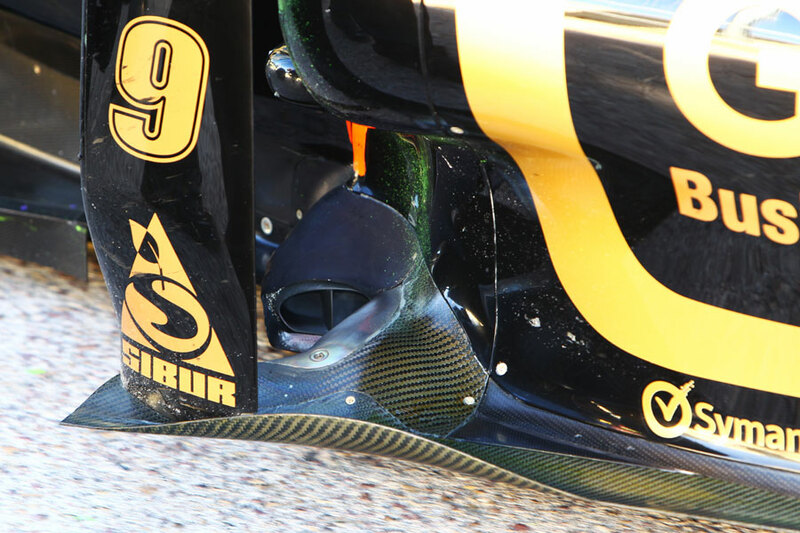 Once the cars are launched it’s all about getting photos of anything out of the ordinary, such as Renault’s forward-exiting exhaust. To keep in the know I had to work as a journalist as well as a photographer and as soon as I heard about the R31 in the media centre, getting a picture went to the top of my list. In the end I used a bit of flash because the surrounding carbon fibre is all very dark. To get any detail on those sorts of shots, you really have to consider the lighting – shooting in daylight simply doesn’t work because of the shadows. 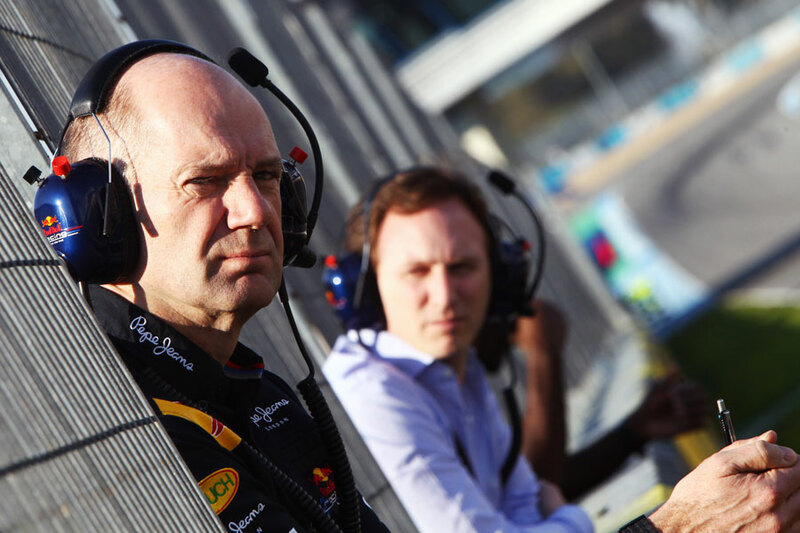 There were quite a lot of the teams’ chief engineers at Jerez, including Adrian Newey. He stood on the pit wall with Red Bull team principal Christian Horner for almost 30 minutes and they watched almost every rival car go by. Because Newey is quite old-school, you get the feeling he sees more from the trackside than most and can figure out if a particular feature on a car is working just by looking at it perform in front of him. It was fun to see the rookie drivers out on track. 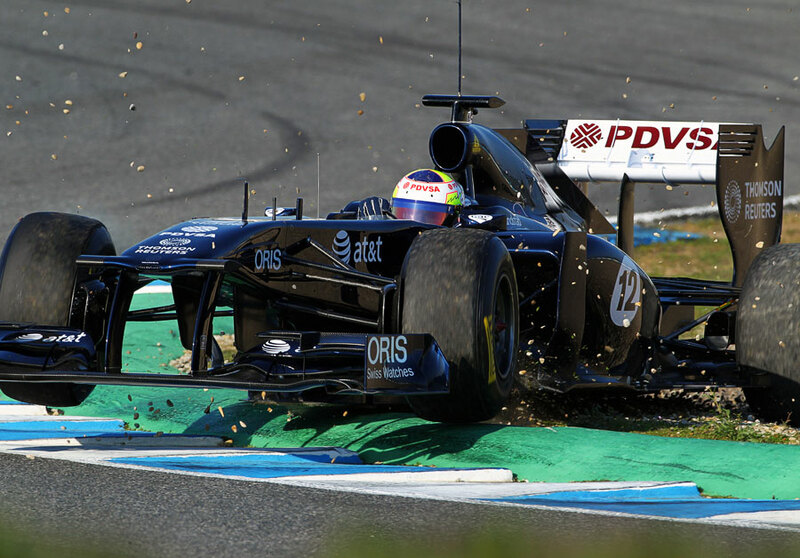 I got a good shot of Pastor Maldonado in the Williams clattering over the kerbs after he made a mistake on corner entry. For two or three laps he had looked out of control and that chicane is obviously quite tricky when you’re a newcomer. I think we will see quite a few mistakes from the new boys early in the season. The problem with testing is that the teams are allowed to put up screens in front of their garages and it’s very difficult to get photos of drivers. It means that when you see a driver outside of the garage you fire off as many shots as you can because it’s the only opportunity you get. 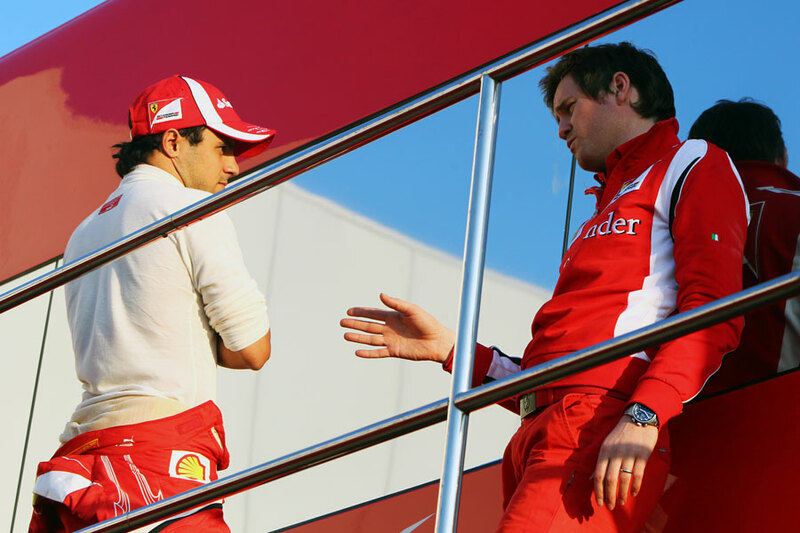 The shot with Rob Smedley and Felipe Massa having a one-to-one was too good to miss and was taken directly after his debrief at around 18:00. 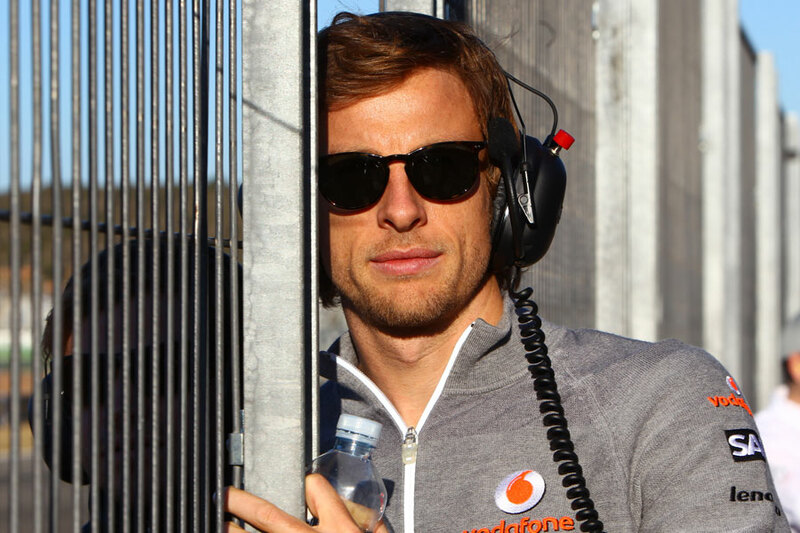 I also had a bit of luck when I just happened to be on the pit wall as Jenson Button came out of the garage to watch Lewis Hamilton at the end of the second day in Valencia. The light was low but still very good and he was out there for about five minutes, making for a series of nice photos. 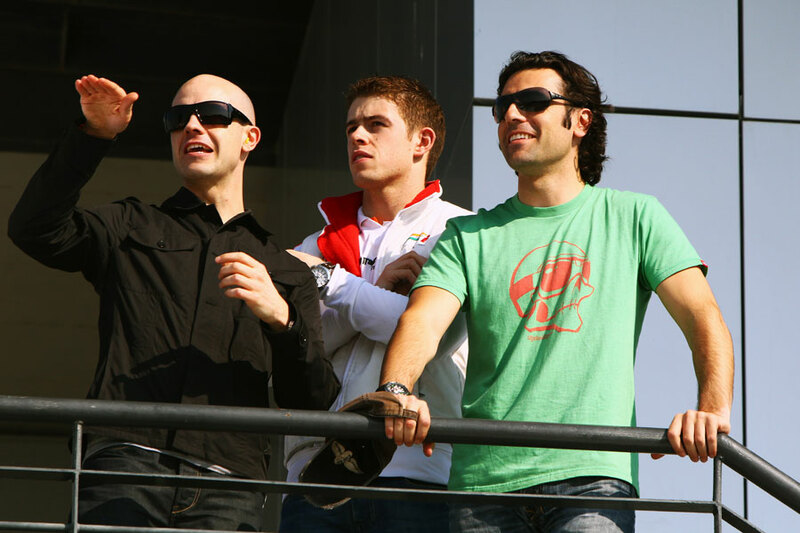 It was good to see Paul di Resta joined by his cousins Dario and Marino Franchetti in Jerez. I’ve known Dario since his time racing in the UK in a Vauxhall Lotus with Paul Stewart Racing and I used to go bowling with him in Milton Keynes. I had a good chat with him about American racing and he’s also very knowledgeable about F1 because he’s had a bit of experience in testing. On the last day at Jerez there was a hell of a lot of rubber marbles scattered off the racing line, I think because the teams had been running the softest compound. 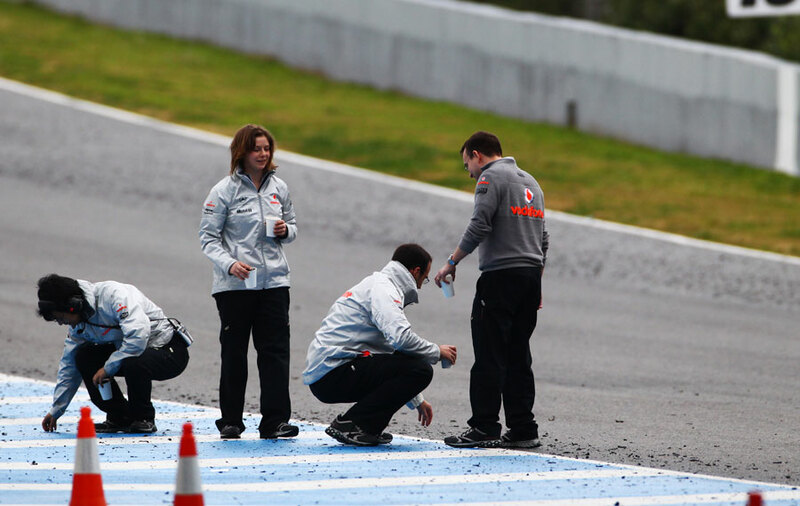 It was quite funny to see McLaren send four people out at the end of the day to collect bits of rubber in plastic cups to be taken back for analysis. A lot of teams have employed old tyre technicians from Bridgestone to help them understand the new rubber and any extra information they can get is incredibly valuable.